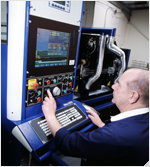 The arrival of our additional PLN laser cutting system in January 2004 has drastically improved our laser cutting capabilities. This is the largest dedicated acrylic laser cutting facility in the UK. Designed specifically for acrylic the PLN will cut up to 40mm thick material and can run at much faster rates than ordinary machines. 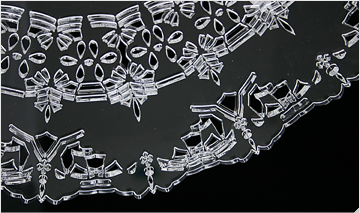 This allows us to offer intricate, polished detail in clear, frosted and coloured, branded acrylic sheet like Perspex® and Plexiglas at very competitive rates.